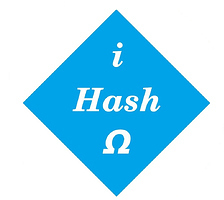 I-Hash will be given only to miners with certain conditions who will submit his Proof-Of-Work to us. Supply in the market will be available for them only by the orders placed by miners and let the miner choose the price for his effort. The purpose is the make the I-Hash more Valuable,Trustable and decentralized for distribution. There will be always an race between miners to get it. Soon we will come with the whitepaper and more details. Sorry, But tokens are reserved only for I-hash miners. Normal users will be able to get it only via miners. Reason behind this is to make token sale more decentralized. Initial price tag will be set by miners. All info will be available in Whitepaper soon. Click on “clone or download” in top right corner marked as green then click Download Zip to download “I-Hash.zip”. I-Hash java based Miner will start running the miner in background. Initially I-Hash.html will be blank. As soon as your system will find a block it will be reflected in console as well as in I-Hash.html. Keep refreshing the I-Hash.html after certain time to see last mined block. Click on submit button just below the data available in I-Hash.html and sign a transaction via waves client to claim your I-Hash tokens. Java must be installed in your system and it should be available in system root. You can check regarding java by typing “java -version” in command prompt. Note: Windows operating systems may alert you for downloading and running .bat file and .jar file, so its normal. You can read the contents of .bat file by right clicking on it. Get I-Hash through only mining along with instructions provided on github. güzel ve kalıcı ödüller sizi bekliyor,hemen görevleri yapın ve bize katılın.